Products include. Self bows, sinew backed bows, painted bows, recurved bows, arrows and real sinew bow strings. I do make a few bow cases and quiver combos every year as well. Can ship to many countries. Here are a few Countries I have shipped to. U.S.A., Canada. New Zealand, Australia, Germany, Italy, England, Scotland, Finland, Switzerland, Sweeden,Isreal and may others. So dont be afraid to email me and ask. Most emails are answered within 48 hours or less. "We received the bow and arrow today. My daughter absolutely loves the bow and the arrows! She has already stringed it and is already practicing. I cannot thank you enough for working with her and I. It is such a beautiful piece, you truly are a master bow maker." 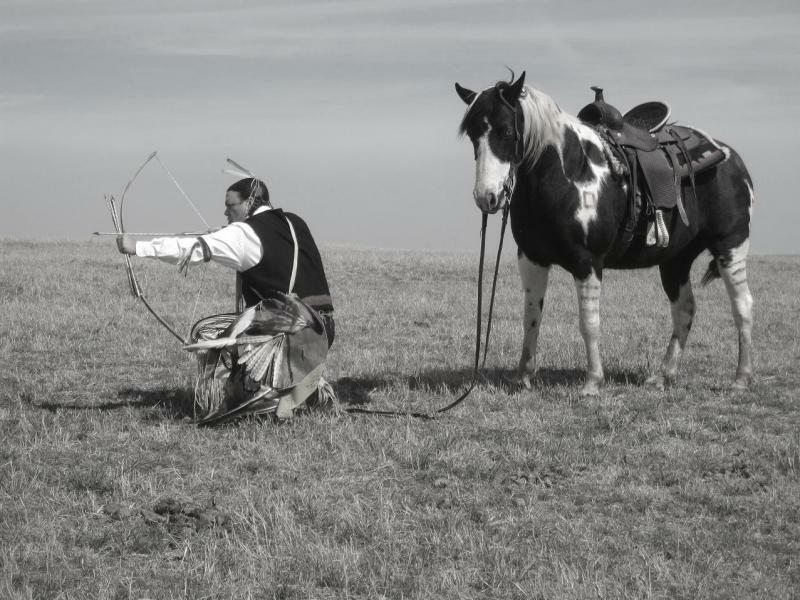 Copyright 2010 Plains Indian Bows. All rights reserved.